Learning a new language is always a challenge. However, learning some languages can be a more demanding and time-consuming task than others. 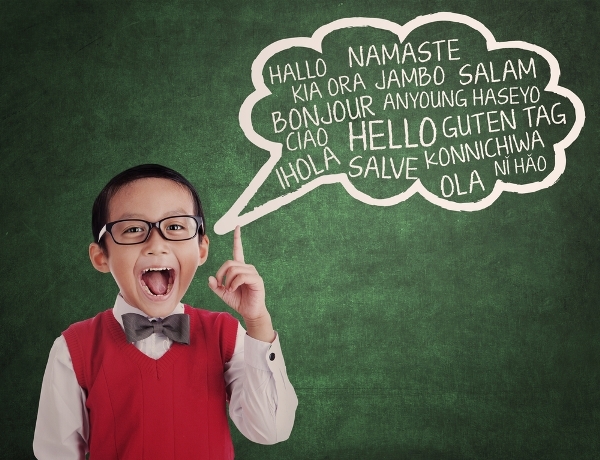 In this blog post we’ve put together our own “Top 5” of the languages which are often claimed to be the most difficult to learn for foreigners. Read more and find out what they are and why they are still worth your time and effort. Depending on your language skills and background, you might find it very easy or almost impossible to learn French. If you already speak some other Romance language (such as Spanish, Italian or Portuguese), learning French is no big deal at all. Otherwise you might struggle with its grammar and pronunciation. The spelling rules are complex too, as in most cases they are based on etymology rather than phonology (i.e. the history of a word rather than its pronunciation). Learning German may be a difficult exercise for a number of reasons. First, it has several varieties of standard German as well as numerous dialects used in various areas in Europe and abroad. These dialects are so different that they are even considered by some linguists to be separate languages altogether! You may have a really hard time trying to understand these dialects if you only know standard German. Another reason why you may find German difficult is that nouns in German have grammatical gender (feminine, masculine and neuter). Pure common sense does not always work here. Thus, a girl is ‘das Mädchen’ (neuter) and a nose is ‘die Nase’ (feminine). The nouns are also declined depending on the grammatical case, meaning that you’ll have to remember to add various endings. Russian is widely believed to be one of the most difficult languages to learn. This is mostly true, if you have no knowledge of other Slavic languages (e.g. Bulgarian or Czech). The grammar rules in Russian are very complex and have numerous exceptions. In addition, many learners struggle with the pronunciation – the stress in words is largely unpredictable and not marked in writing, while there are multiple homonyms. In the Russian language you also need to distinguish between the so-called ‘hard’ and ‘soft’ sounds (consonant phonemes with and without palatal secondary articulation). The need to learn the Russian alphabet serves as yet another obstacle for many people who would like to learn the language. They might be surprised to know that the Russian alphabet actually takes only about 10 hours to learn. Japanese is an East Asian language. The major difficulty in learning this language is that Japanese has nothing in common with European or Slavic languages. Learners of Japanese are often put off by its writing system, which uses three scripts: hiragana, katakana and kanji. This means regular use of thousands of characters. In addition to that, the Japanese language has multiple forms of expressing politeness and formalities. #1 And the winner is… Finnish! The Finnish language can “boast” an extremely complicated grammar structure with numerous derivative suffixes, which makes it especially difficult to learn. Students of Finnish have to learn to use multiple modifiers to nouns, pronouns, adjectives, verbs, as well as numerals, depending on their roles in the sentence. The spelling is far from easy too, as words often contain double consonants and vowels. Some of the letters of the Latin alphabet (b, c, f, q, w, x, z and å) are not used in Finnish words and are reserved solely for words of non-Finnish origin. All these aspects may make language learning seem a formidable task. However, having said all that, we also have to say that learning a language is a very rewarding and useful activity. It is easy to make yourself a study schedule too. Overall, depending on your background and native language skills, you might need from 575 to 2,200 hours to achieve proficiency in the language of your choice (according to the Foreign Service Institute of the U.S. Department of State). The good side of learning a new language is that it has a very positive effect on your career prospects, gives you a deeper understanding of other countries and cultures and breaks ice in communication with the locals. Even a few hours of language learning can make a huge difference in this sense. If you are still not sure whether or not you can and want to learn any of the languages above, we have great news. With WordDive it is easier than ever to try learning a new language and see if this is the right one for you. You can sign up for our free sample course in just a few clicks on the WordDive website or through the WordDive app for iPhone. Finnish language is the hardest one,,, but I like it a lot,,, it is so rich language with words, phrases and grammars,,, I have found out almost everything in Finnish language is beautiful,,, despite of I am mathematician and do not like languages! I am living with abstract idea mostly. Did anyone try to learn Polish ? For me it is obvious that it is more difficult to learn than Russian or Finnish: it has more complicated grammar, pronunciation and spelling than both of them. Hi Anna! Thanks for your comment. In general, it always depends on your individual background. For example, for people who speak a Slavic language as their mother tongue, it is rather easy to learn Polish. In some ways, Polish grammar can be easier than Finnish grammar. For example, it has much fewer noun cases. Polish grammar is also considerably easier than Russian for people whose first language is written with Latin alphabet, because for Russian you have to learn Cyrillic.